She’s one of the hottest babes in Hollywood, that’s for sure, but she’s also an amazing actress. Oh, and for the record, she’s not just an actress either. You’ll be more likely to see her on the silver screen, but she’s also a singer and a model. Oh, and she’s also part-Danish too. Impressed yet? This beautiful blonde is in the eagerly awaited Anime classic, Ghost in the Shell, due out really soon, and there’s also Rough Night, another 2017 film. You’ll also spot Zoë Kravitz in Rough Night, a black comedy film. Of course, we can’t forget a little mention for Avengers: Infinity War due out in 2018 too, and Isle of Dogs … Just saying. 31 year old Kaley Cuoco is very well known for her part on the CBS comedy series, The Big Bang Theory, which she has been a part of since 2007. Some of us even remember her from slightly earlier days than that – 8 Simple Rules. She’s been in her fair share of movies over the years also, Why Him? being the most recent one, but one that we think you should definitely take a peek at is 2015’s Burning Bodhi. Considering she’s only 26 years old, The Hunger Games actress, Jennifer Lawrence, really has made her mark on the world of Hollywood, and we certainly love her for it. She started off performing in church plays, and has gone on to become one of the hottest actresses in Hollywood, and one of the most critically acclimated also. She’s racking the awards up! Everyone’s favourite Friends actress, Jennifer Aniston, looks astonishing when you bear in mind that she is now only two years away from 50. Not just an actress these days, but a businesswoman and a producer too, she just so happens to have a movie due out in 2017, called The Yellow Birds, also starring Toni Collette. Recently divorced from Johnny Depp after *that* incident that the entire world talked about, Amber Heard is only 30 years old, a blonde bombshell, and definitely making her mark in Hollywood. As well as popping up in movies such as Zombieland, Drive Angry, and The Rum Diary, she’s also set to star in the soon-to-be-released superhero movie, Justice League. She’s playing Mera and we can’t wait to see it. We know she doesn’t always have blonde hair, but when she does, she rocks is almost better than any natural blonde could! We love this babe as a redhead, but there doesn’t seem to be a single look she can’t pull off. Didn’t you see that bubblegum pink beauty she rocked for a while? La La Land is still taking the world, and award ceremonies, by storm. Keep your eyes peeled for 2017’s Battle of the Sexes, in which Emma Stone plays tennis player, Billie Jean King. For the record, you’ll also spot Steve Carell so you know it’s going to be a great watch! You may remember Amy Smart from The Butterfly Effect, but you may not realise that this blonde actress is now 40 years of age! We didn’t believe it either, but after doing our research we can confirm that the American actress (and former fashion model, we must add) was born in California on March 26th, 1976. Did you see her in 2014’s The Single Moms Club? It was brilliant, and definitely worth a watch! There is one Amy Smart movie awaiting a release date due soon, although we’re not sure when that will be. Matters of the Heart has completed filming. She’s one of the first blondes you’ll probably think of when looking at the hottest blonde actresses in Hollywood in 2017, and you’ll be happy to know that she’s back with a vengeance in 2017, rocking four movies due out over the next 12-24 months. The Fate of the Furious promises to be a really good watch … we’re excited to see her in it. You should also keep your eyes peeled for Tully, a drama-comedy movie that is also said to star Mackenzie Davis, and Atomic Blonde, which we feel is very apt! The action / spy-thriller will see Charlize playing the part of MI6 top-level spy, Lorraine Broughton, during the late nineties around the time of the collapse of the Berlin Wall. 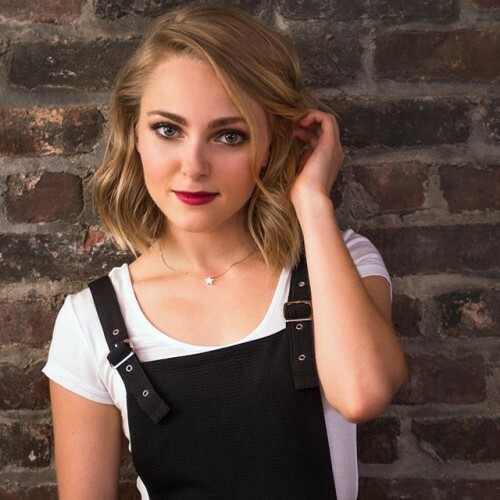 You’ll see AnnaSophia Robb, another of Hollywood’s hottest blondes, in the TV show, Mercy Street, right now, but there are also three movies due out in 2017 that are said to star this 23 year old actress. The Crash, Down a Dark Hall, and Freak Show are the three movies, and the latter also stars Bette Midler, so you can imagine how excited we are about that. 44 year old Leslie Mann is such a great blonde actress, known for movies such as Big Daddy, The Other Woman, This is 40, and also How to be Single, which we thought was utterly brilliant when we watched it very recently. She’s married to Judd Apatow, in case you weren’t aware, and many of her movies have been collaborations with him. He’s a director, producer, actor, writer and comedian. Her most recent movie was The Comedian in 2016, also starring Robert De Niro and Danny DeVito. She first found fame in TV with shows such as the sci-fi series for NBC, Heroes, and also in Nashville, which you can still see her in right now. She has branched out in movies over the years also, her most recent being Custody, out in 2016. Of course, you can’t miss her in Lip Sync Battle either … We LOVE that show! 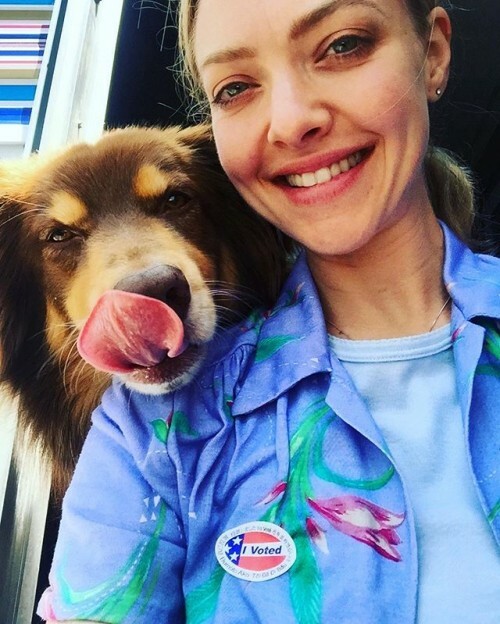 She’s a singer-songwriter as well as an actress, but you’ll probably better known Amanda Seyfried from the movies Alpha Dog and In Time, two movies which we particularly enjoyed. There have been a string of successful movies over the years, and if you like this Hollywood blonde, you can enjoy four starring her, set for release in 2017 and beyond – Anon, The Clapper, American Express, and The Last Word. The Clapper looks brilliant, by the way, also starring Maroon 5’s, Adam Levine. It’s also the last role that Adam Thicke ever played, sadly passing away in December of 2016. There’s also the up-and-coming Twin Peaks, which will also see Amanda return to TV for the first time since 2014. 38 year old Rachel McAdams took a two year hiatus from acting after the success of movies such as The Notebook and Wedding Crashers, but she came back with a vengeance, appearing in a string of movies. Disobedience is the movie due out in 2017, a drama film also starring Rachel Weisz. It’s based on a novel – have you read it? We can’t believe she’s 40 now, and a mother of three kids, believe it or not, and she’s starring in one 2017 movie called Home Again, also starring Michael Sheen and Nat Wolff. If it’s got Kristen Wiig in it, it’s going to be a hilarious movie, and that’s why we’re quite excited for the up-and-coming comedy – science fiction – drama, Downsizing, due out in 2017. Alongside Neil Patrick Harris and Matt Damon, Kristen Wiig is exploring a “Honey, I Shrunk the Kids” style scenario … but on the adults rather than the kids. Of course, you may also want to check out some of her latest hits, which include Sausage Party (as the voice of Brenda), Ghostbusters, and also Anchorman 2: The Legend Continues. She first appeared in a 1993 episode of the TV show, Baywatch, but Michelle Williams really has come a long way since then. The American actress who found fame with Dawson’s Creek and Home Improvement has gone on to become a seriously critically acclaimed actress, with a string of awards under the belt. 2017 will see the release of two movies for Michelle Williams – The Greatest Showman, and Wonderstruck. The latter also stars Julianne Moore, and is a drama based on the 2011 book of the same name, written by Brian Selznick. In the 2008 movie, Forgetting Sarah Marshall, Kristen Bell shot to fame, but that’s not all she’s been in. 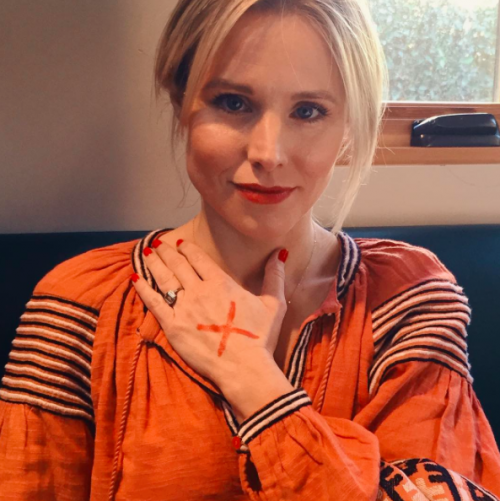 She appeared in Broadway first, before moving on to Spartan, and it was a TV show – Veronica Mars – that made her somewhat of a household name. She’s appearing in two movies due out for 2017, and one of those we are super excited for – CHiPS! It will also star Dax Shepard, Adam Brody, and Justin Chatwin … just in case you’re interested. 30 year old Dianna Agron is not just an actress, but a model, a singer, a dancer, and even a director of music videos. She first made her debut on TV in 2006, and this was on the show, CSI: NY. She then had success on two further TV shows – Heroes, and also Veronica Mars (alongside Kristen Bell). From there, you’ll probably remember her in Glee, and there have been a few films also – I Am Number Four in 2011 was one we particularly enjoyed. You’d never believe this blonde was 47 years old, but that she is, and she’s become one of the biggest blonde names in Hollywood, especially as far as brilliant movies are concerned. However, she’s not just an actress. She’s also a cheerleader, dancer, model, and even professional wrestler and valet. You’d never have guessed it! These days you’ll find her in video game world, hosting Call of Duty’s Friday Night Fights. 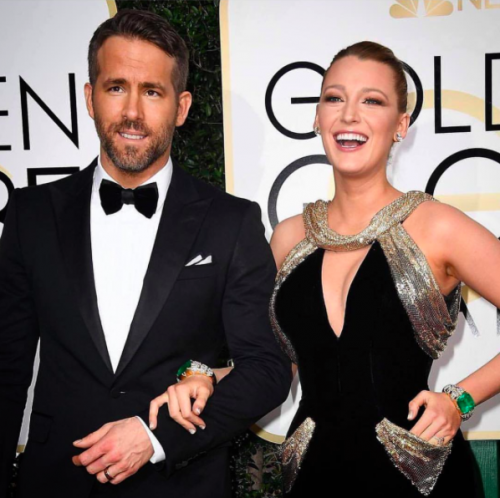 You’ll probably recall seeing Blake Lively juggling two kids and her Deadpool husband, Ryan Reynolds, on the red carpet recently, but she’s an actress as well as an all-round domestic goddess who looks a million bucks at all times, even pregnant. Her blonde styles have inspired looks around the globe, especially with those bronde delights we’ve spotted recently. She’s pretty quiet in the Hollywood sense for 2017, but that’s probably because she’s being all fabulous with her beautiful babies and husband in tow. The Shallows, released in 2016, is definitely one movie you should check out, however. It bagged her “Favourite Dramatic Movie Actress” in the People’s Choice Award for her role. And there you have them – 20 hottest blondes in Hollywood 2017. Do you think we’ve missed anyone out? Perhaps Kirsten Stewart and her recent blonde buzz-cut, for example? Or Dakota Fanning? Elizabeth Banks? There really are so many beautiful blondes to choose from. Shout out the names you feel deserve a spot below – we’d love your input! Thank you for sharing your positive comment. Please share more of your thoughts and feelings in the future. Have a great day, Unicorn! Margot Robbie and Alice Eve. Thank you for sharing the names of the actresses that you appreciate. We will keep your thoughts in mind for our future articles. Have a great day, Lee! EXACTLY !!! how do they not have Margot Robbie !!! Thank you for sharing your supportive comment. We will keep your thoughts in mind for our future articles. Have a great day, Bar! Thank you for sharing your positive comment. Please feel free to share more of your thoughts and feelings in the future. Have a great day, Dhyan! Ashley emma is the best. Margot Robbie is hotter then all of these women by a long shot! One of her biggest and most recent roles she played as Harley Quinn for those of you that don’t remember her. Thank you for sharing your thoughts. We will keep your words in mind for the future. Have a great day, Bobby! Y’all left one out! Where the hell is Kate Hudson?! Thank you for sharing your thoughts. We will keep your words in mind for our future articles. Have a great day, Deanna! Thank you for sharing your thoughts. We will keep your comment in mind for our future articles. Have a great day, Gary! Kate Hudson is better looking than at least 50% of that list. Thank you for sharing your thoughts. Have a great day, Pete!